A few years ago a new sports type facility opened up in our neighborhood here in Mesa, AZ. The place is called Krazy Air. What the heck is Krazy Air, I thought, as I drove by the facility. Well, low and behold, the business is the joy I had experienced as a child, a sea of trampolines to bounce around on. 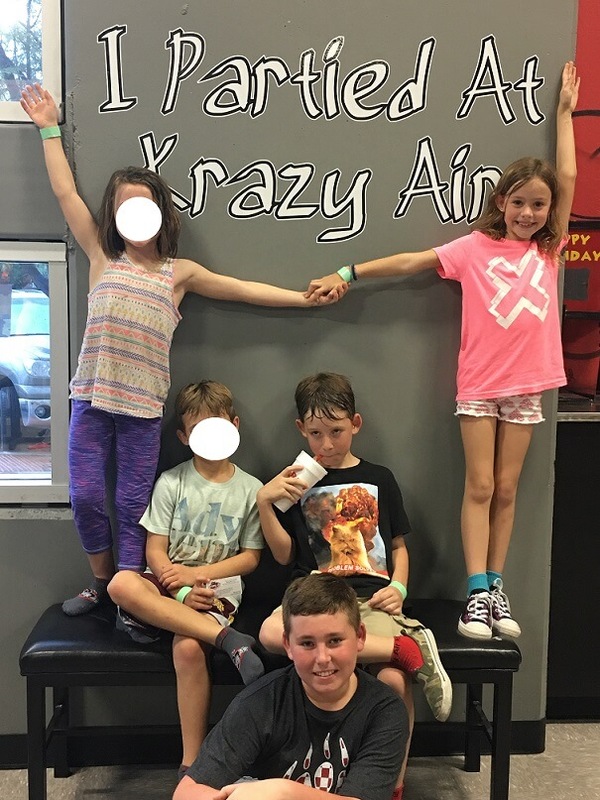 As temperatures heat up here in Phoenix, we all head indoors for summer fun, Krazy Air is offering some crazy fun this summer at their facility. We as a family have spent many a birthday parties and afternoons at the facility to wear out the kids and just have an all around awesome time. I mean, who wouldn’t want to jump on indoor trampolines? 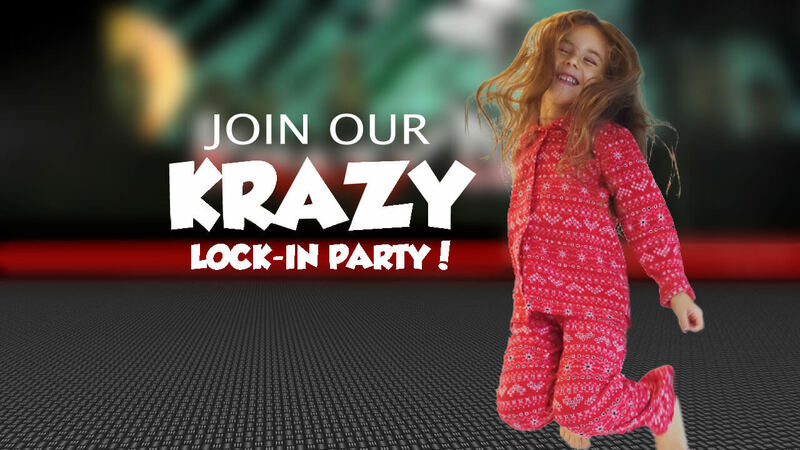 One of the many events that Krazy Air offers during the hot summer months in Phoenix is their lock-in party. Anyone remember those as a kid? I know I attended quite a few with church where we stayed up all night watching movies with friends and having a blast! Now imagine that same fun with indoor trampolines. So we just had to share this fun-filled event from their email newsletter we just received. The kids are dropped off for the night with a gaggle of friends where they can watch movies on the big screen, enjoy s’mores snacks, drinks, and all around fun on trampolines. Just drop them off and pick them up in the morning and it will be the hit of the summer. We love Krazy Air for all the fun they have to offer. In fact, we just celebrated Bitty and Sous Chef’s birthday there this past February. I personally could not resist joining in on the fun with the kids. I jumped in on a game of trampoline dodge-ball with the boys and then did some acrobatics with the girls. Who said jumping on the trampoline is just for kids? Did I mention the heart healthy fun and cardio exercise you get from jumping on a trampoline? So if you are in Mesa, AZ and looking to escape the heat and looking for summer fun for the kids, look no further than Krazy Air! They offer a toddler time to jump, open jump times, Black Out nights and all around good fun. Get the kids moving and out of the house this summer and have some fun with Krazy Air. We hope you enjoy the facility as much as we have, we just had to share because we love all the fun at Krazy Air. Oh, and don’t forget your Krazy Air socks next time you go and get $1 off your jump time. It seems like a very fun venue!